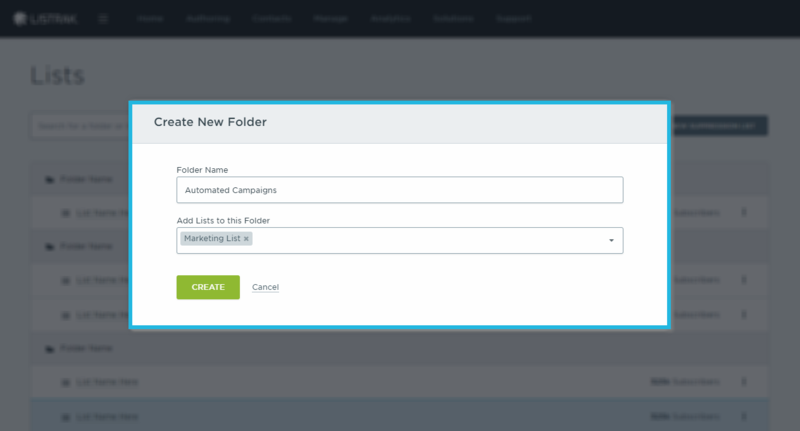 When you arrive on the list manager screen, you'll see the options to create a new folder, list, or suppression list followed by your active lists. Easily search for a folder or list using the search box at the top of the page. Your current list is always highlighted in blue. Easily switch between lists on this page by simply clicking on the name of a list. 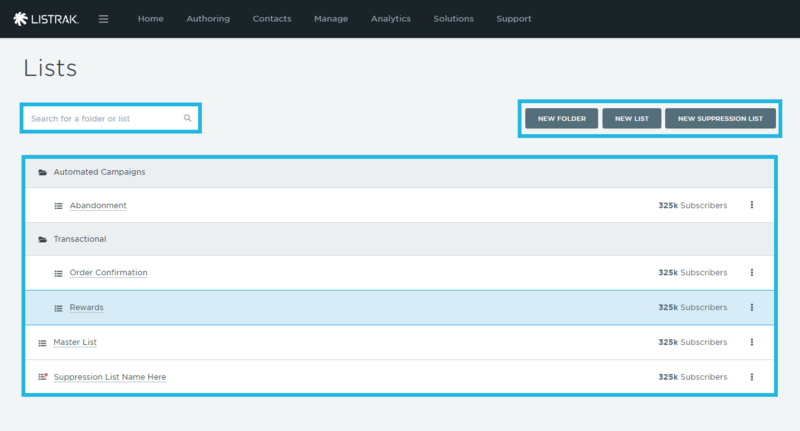 TIP: When creating a new list, be sure to add it to any previously configured frequency cap rules. Select a List from the drop-down menu. When creating a new list, this defaults to your active list. A new list will appear in alphabetical order following the folders. Select New List or New Suppression List. Add the List to a Folder. Access List Settings. 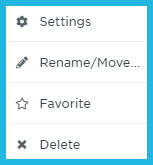 You can no longer access List Settings with the Manage navigational item in the home menu. Click the three dots, then Settings to adjust any settings for a specified list. Learn more about the different list settings here. Rename or Move the list. Favorite the List. Selecting a favorite here will appear under Favorite Lists when selecting a list on applicable pages. Delete the List. You cannot delete the list you are currently on.